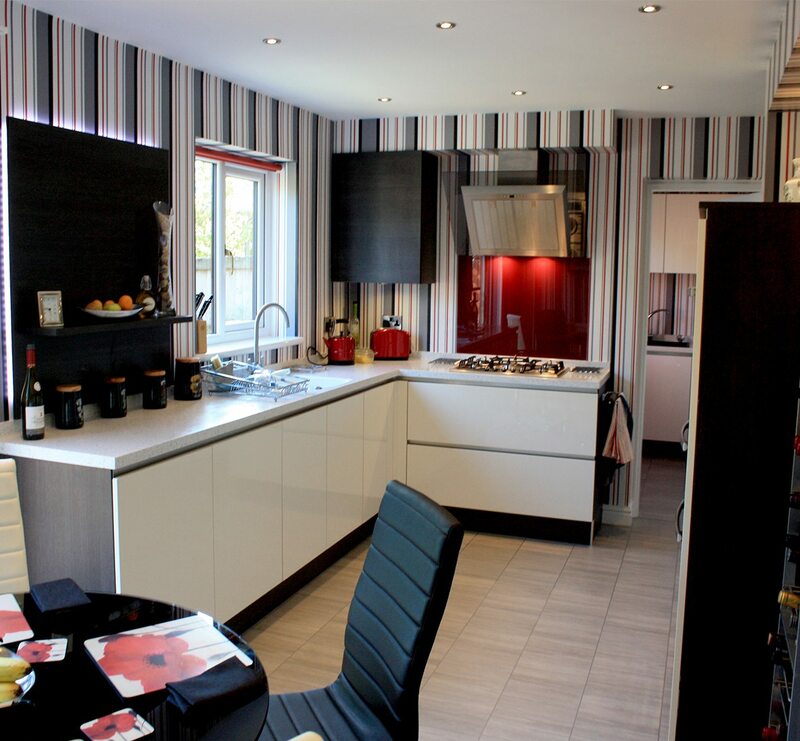 Leading busy working lives and with a young family, Neil and Joanne Pye from Huncoat called in the experts at Kitchen Design Centre when they decided to completely re-model the kitchen and dining room of their new home. As young professionals with careers, Neil and Joanne Pye didn’t have the time to project manage the re-design of their kitchen and dining room, which they wanted to transform into a contemporary family living space. 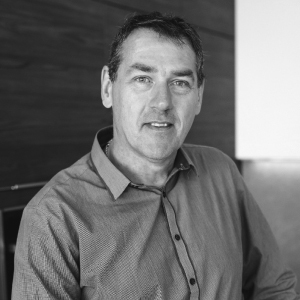 Instead, they turned to Simon Thomas, one of Kitchen Design Centre’s leading designers based at KDC’s Colne showroom: “Joanne and Neil wanted something completely different as their kitchen and dining room at their property in Huncoat was separated by a boiler and peninsula cupboard. The first thing we did was move the boiler, which opened up a whole range of opportunities and possibilities. “Instead of a kitchen and dining room we had a large space to work with so we were able to include long pan drawers, a fridge freezer and eye-level ovens. The couple from Huncoat opted for German manufactured Hacker units in gloss Basalt grey and Terra Oak panelling while the work surfaces featured White Jasmine Corian with an integrated Corian sink. 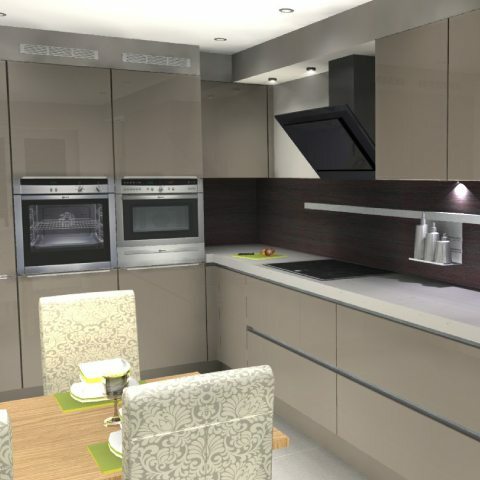 As a 5 star Neff Master partner, Kitchen Design Centre were able to advise on appliances in the new kitchen which features a 2015 specification Neff ‘slide and hide’ oven, a combination microwave, plate warming drawer, a large flex induction hob which is complemented by a Neff extractor, a low-frost fridge freezer and a Neff dishwasher. For the ultimate in contemporary convenience a Quooker twin tap was also installed. Following the extensive refurbishment, Neil and his wife Joanne, agreed: “Our previous kitchen wasn’t user friendly. 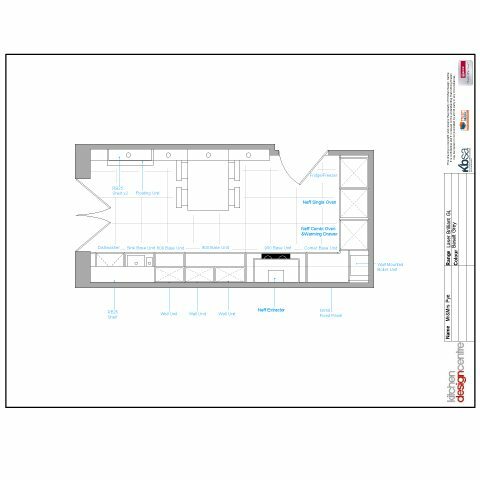 It was a difficult shape to work with and nothing flowed, so we asked Simon at Kitchen Design Centre to come up with a design that made the kitchen workable, family friendly and a great space for entertaining. 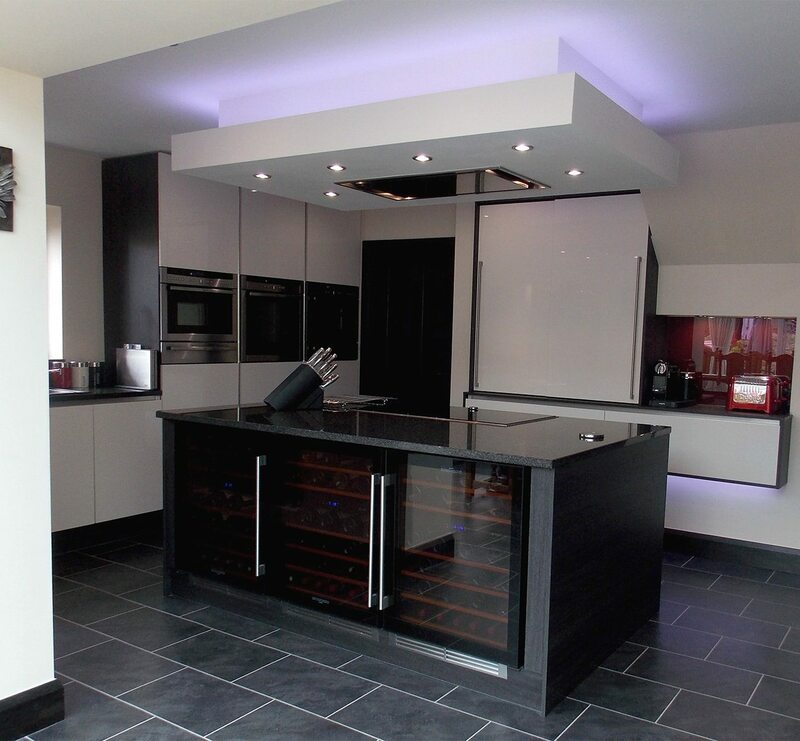 As a busy working family the couple, who both work in finance handed over the complete project to Kitchen Design Centre, a move that proved to be stress and worry free, as Neil explains: “Handing over the project management was an important factor for us as we both work nine to five and have two children. We didn’t have the time or the expertise to manage the project ourselves. 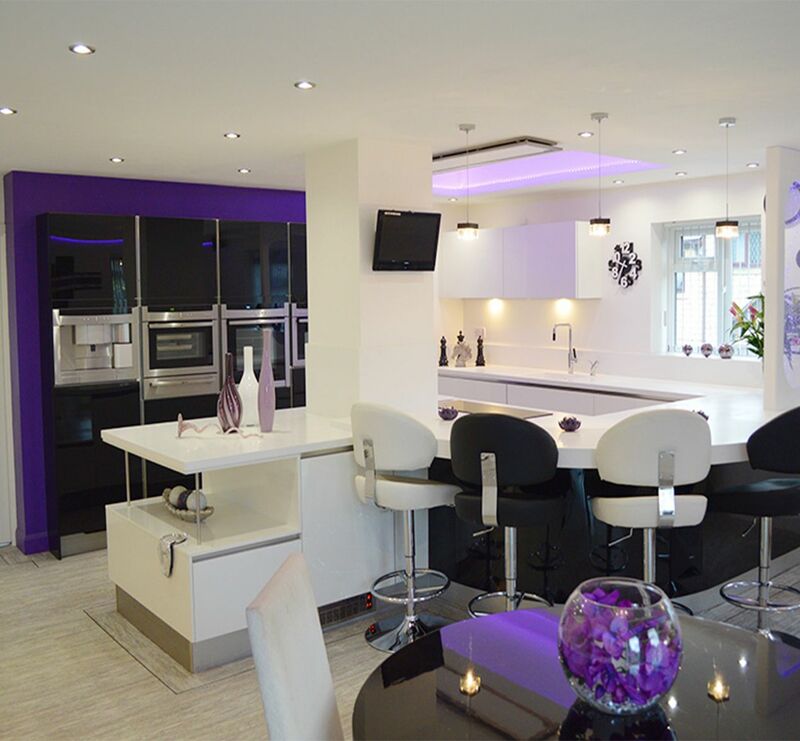 "It was the best decision we made investing in a KDC kitchen, everything is spot on. 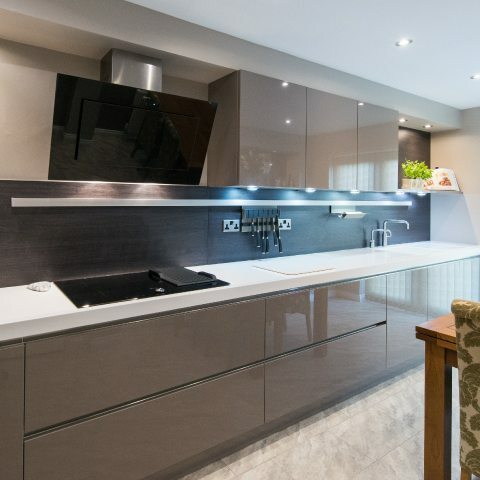 The quality is amazing"
"The couple from Huncoat opted for German manufactured Hacker units in gloss Basalt grey and Terra Oak panelling while the work surfaces featured White Jasmine Corian"